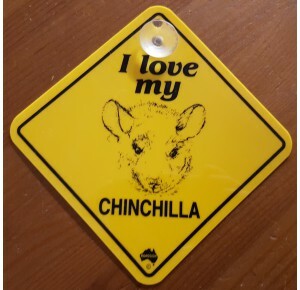 Roadsign "I love my Chinchilla"
Roadsign Let everyone know you are a chinchilla lover. 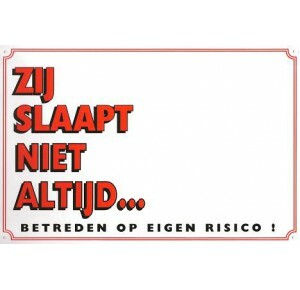 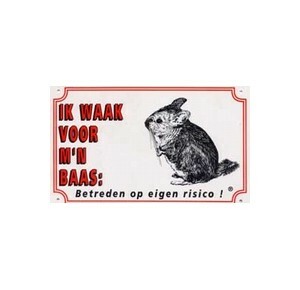 This 12 x 12 cm plastic sign sticks to your window with the included suction cup. 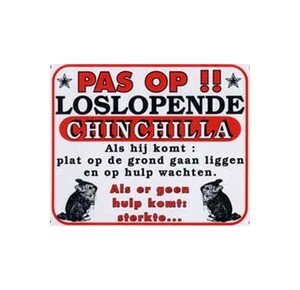 Get one for each vehicle, plus they make a great gift for any chinchilla owner.